For those of you who have seen the movie or, dare I dream, read the book, The Map Room has a link to a newly found map created by the late T.E. Lawrence. Amazing the things you can find when you do a little spring cleaning. 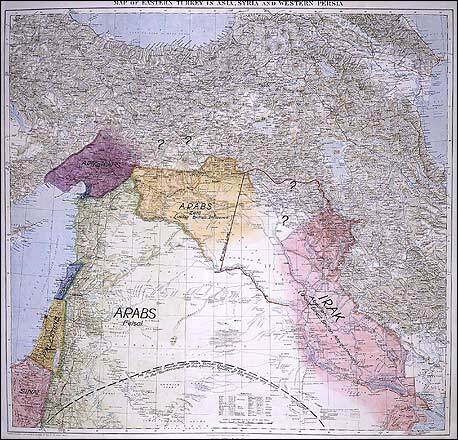 Apparently the British National Archives had misfiled Lawrence's Peace Map indicating his ideas on dividing up the middle east after WWI. While the image is a little small, those of you in London anytime between now and April 17th can view the original at the National Archives.